Hello again golfers I hope that you've had a good week despite some rather inclement weather, it was another good sporting week as Chris Froome won the Tour de France for a second time and young English golfer Danny Willett moved into the top 25 in the world as he won the Swiss Masters at Crans-sur-Sierre, whilst Aussie golfer Jason Day moved to number 4 in the world after an exciting victory in the Canadian Open. The weather looks like it's improving for this weekend with temperatures forecast to be back in the twenties so dare I say that summer could be returning! Don't let the wind ruin your game! If you watched the Open Championship at St Andrews you would have seen many of the world's best players battling the elements including wind and rain but still hitting great golf shots, it's no coincidence that good players don't let bad weather affect their games adversely as much as high handicappers do. 1. 'When it's breezy, swing it easy'. Resist the temptation to hit the ball hard, don't fight the wind, and work with it. Allow the ball to ride the wind when downwind and plan for it in club choice into the wind which leads onto the next point. 2. Sometimes when hitting an approach shot into the wind, it's pretty cool to take 1-2 clubs extra, depending on the wind's force and plan for the ball to be hit so that it would end up past the hole but then watch as the wind "knocks it down" right near the flag stick, don't be afraid to club up - you will hardly ever go through the back of the green when playing into the wind!. 3. If the flags are blowing pretty hard don't be afraid to grip down on the club and also with an iron shot nudge the ball back in your stance slightly, gripping down the club will allow you more control over the shot and ensure a solid strike, the wind will hurt a miss-hit shot a lot more than a solidly struck shot. Also try a wider stance to give you a more solid base. 4. Into the wind, I find success teeing the ball higher so I can level out the approach to the shot and send it more driving into the air, many people think that they should tee the ball low into the wind but teeing it lower means a steeper angle of attack and having to go down after the ball, creating more cut and spin that lifts it too high into the air. 5. Stinger or three-quarter punch shots into the wind can hold the lines fairly well, again shortening your swing will allow a more solid strike. Instead of a high sweeping finish with low irons, take one or two extra clubs and use all the energy in a three-quarter length swing with a finish pointing right at the target, not up into the sky. 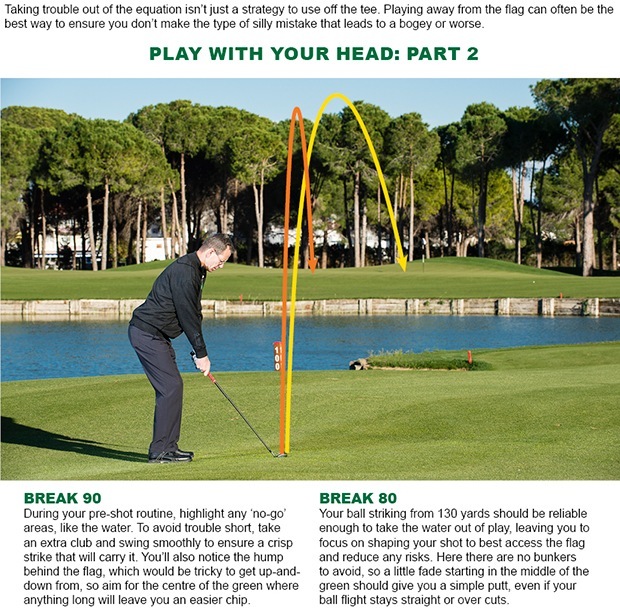 Try these tips next time that you play on a windy day and please let me know how you get on! Summer Sale starts next week! Exciting news for those readers that like to grab a bargain, our massive Summer Sale will be starting on Monday! Over the next few weeks I will highlight some of the main Summer Sale bargains, but please call into the shop to have a good look around at all the sale items and be quick as they will soon go! The Captain's Day organised by men's Captain Liam Tyrer and Lady Captain Annie Rowland is fast approaching on Saturday 22nd August, there will be the usual 18 hole Stableford event starting at 11am with the ladies playing before the men, including the on-course drinks buggy driving around. Tickets are normally £25 for the evening with a smart casual dress code however we are doing an early bird discount on tickets so they are £20 each when bought in advance - they are available now in the bar, please buy in advance as it will cost you more on the night! We are moving across to a new improved online tee-booking system run by BRS, there will be links to it through our website and it is very easy to use, you just have to register initially with your name and e-mail address and you can then book tee-times and also pay online. There will be various special offers on green fees booked online including twilight rates and four ball discounts, if you are a visitor you can book and pay online so you don't have to worry about bringing money with you when you come to play. The online booking system can be accessed here, if you click on the link you can register now as a user. Now that the kids are off school for the summer holidays we have plenty going on for junior golfers, we have day camps and on course competitions for those intermediate to advanced young golfers but also for those children just looking to try the game we have some free taster sessions with Adam Powell PGA. All the sessions last for an hour and will be for a maximum of 10 juniors and all equipment is provided. As there is a limit on numbers you must book your child on the session in advance, you can book by contacting me here. The Seniors played an 18 hole Stableford on Tuesday, the weather wasn't great to begin with which may have put a few players off but conditions did brighten up and 13 handicapper Alan Nevin took the victory with a 41 point haul including nice birdies on the fifth and twelfth holes. In second place was John Sykes with 39 points and in third was the ever consistent Graham Bower with 38 points. Next week most of the seniors are on the Captain's away day at Vale Royal Abbey Golf Club but there are still a couple of tee-times booked at the usual time here at Hartford for any seniors who aren't going on the away trip. This week I was hoping to be bringing you a report about the Ladies Club Championship on Sunday, however the weather got the better of us and heavy rain throughout the afternoon meant that it was decided to postpone the competition, so the Ladies Club Championship has been re-arranged for Sunday 29th August at 1pm, let's hope for some better weather next time around! The ladies did get to play their Summer Stableford last Thursday, the winner was 32 handicapper Alaine Britton with a score of 36 points, Alaine played some really steady golf and she managed to score at least one point on every hole. In form Alison Worrall claimed her third runners up spot of the year with 35 points despite two no-score holes and Christine Lever took third place with 34 points. The next ladies competition is a nine hole Stableford on Thursday 13th August at 9.32am. 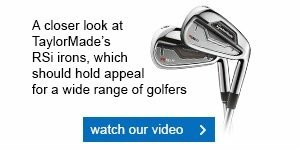 For those of you searching for a bit more distance, Callaway’s XR irons are returning some impressive numbers. Find out more in this video and speak to us about getting fitted. 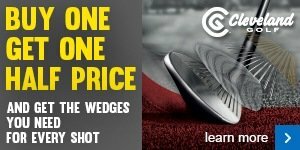 Do your golf shoes really fit you properly? The reason we ask is because this ball has been getting a lot of good reviews. It uses a low compression core to help amateurs compress the ball more easily, so it's long. 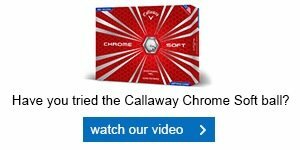 You'll get good reaction around the greens, too, because of the softest and most durable Urethane cover Callaway has ever made.